This is the first of 2 album releases by Bass-O-Matic, another project of sound wizard William Orbit who is also known for his solo recordings in the «Strange cargo» series or bands like Orbit or Torch Song. Besides unsuccessful EMI solo artist Lizzie Tear his partner of the latter mentioned group, Laurie Mayer, provided some vocals for this album. But the lead vocals were taken over by Canadian singer Sharon Musgrave. Very popular at this time, some rappers were involved in the recording sessions too as MC Inna One Step, MC Midrange and MC A-Side. The instruments were mainly performed by William Orbit with trancendental loop-groove on «Zombie Mantra» by Sonique. The album was produced and mixed at Orbit's own Guerilla Studios in London. Arriving after the twin explosions of Acid House and Madchester in the U.K., Set the Controls was inspired much more by the former. William Orbit's career defines peripatetic, but much like Norman "Fatboy Slim" Cook, whose Beats International project also made a big British splash at the same time, here he made his own mark before achieving an even greater fame later, for other reasons. The strongest stretch of the album consists of the opening three tracks. «In the Realm of the Senses» combines Sharon Musgrave's fine dance diva chops and Orbit's ear for crisp modern Euro disco and techno both. If anything, the track is also a homage to the glorious «Supernature» by Cerrone, with vocodered vocal bits and an astronaut feel like a more poppy Orb. The title track, an amusing and commanding revamp of Pink Floyd's own sci-fi zone-out «Set the Controls for the Heart of the Sun», plays up the space imagery and sounds - right down to the concluding Star Trek dialogue snippet - while hitting the beat with a crisp, clinical sharpness. The chorus of female voices chanting adds to the effect. «Fascinating Rhythm» takes everything even higher. It topped 2 weeks at #9 in the U.K. single charts in Sept./Oct. 1990. Its shuffling hip-hop beat was more in line with baggy groups like the Happy Mondays. Otherwise, Sharon Musgrave's sleek main vocals, MC Inna One Step's solid dancehall turn in the break, and William Orbit's perfect combination of music, production, and beat were all their own. Things get a bit nondescript after that point, but there are some good points - the harmonica and electro-vocal fusion on "Zombie Mantra" and the sampling of some melodramatic English movie on "Wicked Love" both add to their respective songs. The vinyl version just fades out in an almost country-like style with the songs «Ease on by» (another single release besides In the realm) and even «My tears have gone» which reminds of earlier tracks by Orbit's band Torch Song. Concluding remixes of «In the Realm of the Senses» and «Fascinating Rhythm» end Set the Controls on a reasonable high (only on CD version). 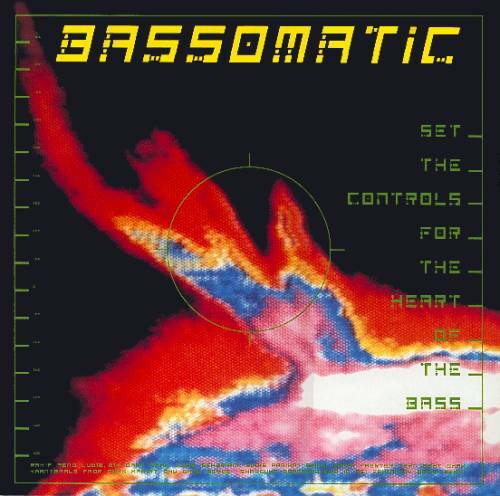 Next year, 1991, saw the second and final album release of Bass-O-Matic with single picks «Funky love vibrations», «Go Getta Nutha man» and title track «Science and Melody». Lead vocals were taken over by Sindy Finn while the whole album featured Orbit's talent in songwriting, instrumentation and procuction again. Another track of this album («Attack of the 50 Foot Drum Demon») was put on Virgin Records' «Ambient, Vol. 2: Imaginary Landscapes» some years later. To be precise, it was released in August 1994 and featured mainly Virgin's rich back catalogue on this issue but has rare contemporary highlights from Future Sound of London's side project Amorphous Androgynous («In Mind») or an Orb remix of Grid's «Crystal Clear». Meanwhile Beth Orton was met by Orbit in a London nightclub and encouraged to sing. They formed Spill and recorded the single «Don't Wanna Know 'Bout Evil» (Virgin VS 1441; 1992). An album of this collaboration was only released in Japan under Beth's name. Over the course of the past several years, William Orbit has become the somebody to whom everybody turns for the jobs that nobody else can handle. Proof of this can be found in his resumè, a work history that practically reads like a "Who's Who" in the international world of pop music. Since launching his career in the early 80's, Orbit has provided remixes for artists such as Human League («Heart like a Wheel»), Seal («Crazy»), The Cure, Gary Numan, Kraftwerk, and Depeche Mode. Orbit has co-written «Pure shores» and «Surrender» with Shaznay Lewis of All Saints for their second album «Saints and Sinners» and produced a range of tracks as well. «Pure shores» performed by All Saints appeared on the recent commercial blockbuster's «The Beach» soundtrack and was the 2nd most sold single record in the U.K. in 2000 and won the race of the most radio airplays as well.